As many of you know, I was contacted by the Dr. Oz Show last weekend about participating in a healthy recipes challenge. They assigned us a regional favorite from the area we live in and asked us to make over a “healthier” version. I was assigned fried chicken since I live in SC. It was a no brainer as I already have a recipe in the IBIH Summer Recipes Ezine. I figured that would go over like a lead balloon with the low fat crowd though, so I nixed it. I’m definitely doing it soon for the rest of us though, since we know FAT IS WHERE IT’S AT! Even so, I wasn’t surprised when I got the email a few days ago that they didn’t choose my “fried” chicken as one of the 3 finalists. They never did ask for my actual recipe – just the video of the finished product, so they may have had a different criteria altogether. I’ll never know! But it was a fun experience, and I got to meet some other great bloggers because of it. We all got the same email saying we’d be featured on the show (which airs today, Monday January 27th), but hadn’t made the finals. 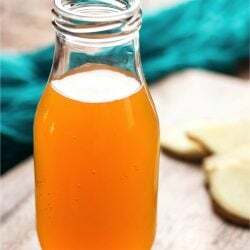 Jeanette from Jeanette’s Healthy Living reached out to us all and suggested we link up today with our different recipes from the show, and introduce our readers to each other. I loved that idea! If you’re new here just coming over from one of the other blogger’s: Welcome to the dark side – we eat bacon!!! 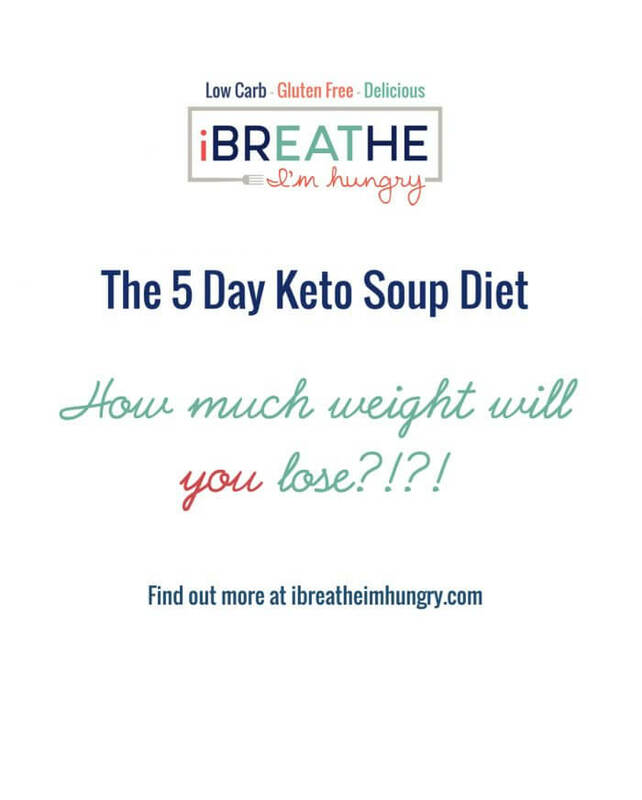 To find out more about losing weight on the Keto (low carb) diet, check out my 3 day Keto Kickstart and Menu Plan to get started! You can also hang out with us on Facebook where we yuk it up all day long. 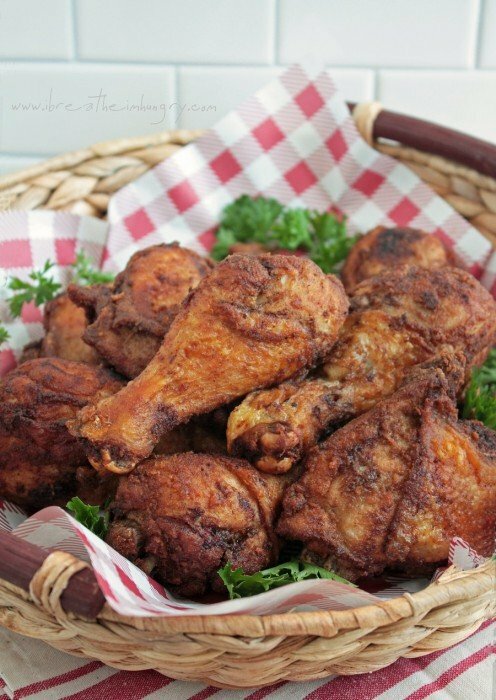 A low carb and gluten free recipe for Southern fried chicken. In a large bowl, combine the chicken, salt, pepper, garlic powder, and paprika. Using your hands, massage the spices into the chicken and be sure it’s well coated. Cover and refrigerate for at least 2 hours or overnight. 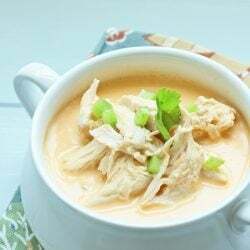 To prepare: Add the coconut flour to the seasoned chicken and toss well to coat. Heat oil about 2 inches deep in a large, heavy bottomed pan (cast iron is ideal or use a deep fryer if you have one) to 375 degrees (F). Add chicken in batches. Don’t overcrowd the pan or it won’t get crisp. Cook for about 8 minutes per side, or until a rich, golden brown. Test with a meat thermometer to ensure that the internal temperature of the meat reaches 165 degrees. If you don’t have one, cut into a piece and make sure the meat isn’t pink before serving. In other news, since it’s been so popular I’m continuing to bundle my Amazon best-selling e-book The Gluten Free Low Carber with my first two issues of the IBIH ezine for only $9.99 – that’s a discount of over 50%! 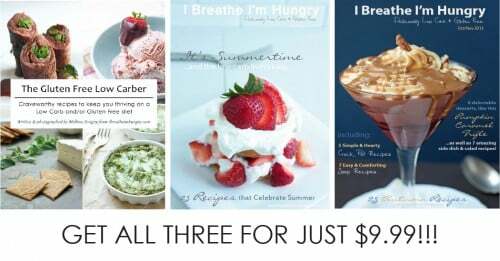 You’ll get over 75 original recipes that can’t be found here on the blog for less than 15 cents each! And it’s some of my best work yet if I do say so! 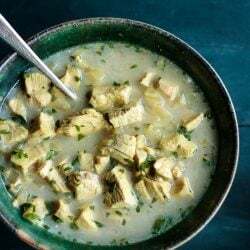 Bored with the same old low carb recipes? 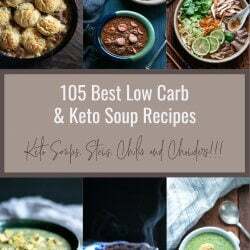 Looking for some new and delicious ways to keto on? I’VE GOT YOU COVERED! My fam is big fried chicken fans. I wonder how they’d feel about this. Maybe I should give it a whirl. Hi everyone! I’m about to start the SCKC tomorrow and preparing my food today. But I don’t know if I am doing this right. I live in Switzerland and we use kg and not lbs. now I have a scale that measures in lbs and when measuring out 5lbs of chicken that comes up to about 2.2 kg chicken and right now I’m looking at 12 chicken leg quarters. If this is for 6 people then this will be 2 pieces of chicken leg quarters and a lot of chicken …. is this correct or are my conversions wrong? I wish I could take a pic to show how much chicken. When I google chicken leg quarter I am shown a leg and a thigh joined together. Is this the same as what is meant here or just chicken legs like the pic? I really don’t want to mess up right from the get go. The first time I made this, my husband asked me if I had decided to eat whatever I wanted again. I had to laugh and told him to enjoy, it’s healthy. The next time I made it, I added the sauce from the Sheet Pan Burgers from IBIH as a side dipping sauce. That was amazing. Just used drumsticks, but hit the mark. 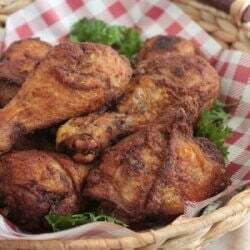 I have been craving fried chicken and was happy I found this recipe. Thank you! Was a little wary of just using the coconut flour to coat the chicken, but I was wrong! They fried up beautifully in my deep fryer and tasted great. Might add some cayenne the next time to add a bit of heat and marinate longer then two hours – the suggested overnight sounds like a good idea, but other than that it was perfect and will be made again for sure. I tried this recipe and for some reason it didn’t crisp at all…bot sure what went wrong but I hate frying. I guess I’ll stick to my original frying and that is using almond flour and parmesan cheese and cry in coconut oil. This chicken was wonderful. Thank you so much for posting this. I have several dietary restrictions and it was great to cook something that was healthy and taste wonderful. When you say a serving in 2 pieces, do you basically mean a leg? By the way, my Low carb is very excited to try this – he misses his breaded fried chicken and I am hoping this recipe will make him happy! Thanks Bill for the tip! Over 20 years ago, an n old boyfriend’s brother would stir a little wheat germ into an egg batter. This eliminated the need to double dip the flour. The chicken was so crispy! And he’s right! I learned that trick over 25 years ago. My old boyfriend’s brother (deceased now) told me to mix a little water, egg and wheat germ. This was so delicious. I will make again. My husband and son loved it too!! Mellissa, have you ever cook with Asian fish sauce? I bought some from the little Asian market near my home, I think I’m gonna try a tiny bit rubbed into the chicken with the spices, it gives a really nice taste, I rub it on chicken that i roast in the oven, it gives it almost of deep fried flavor to the skin. That’s that nice flavor you taste when you get wings, from a Asian take out, I noticed that after i started using it. Don’t add too much though. I find it will tenderize the meat or chicken too if you let it sit for awhile. I just wanted to tell ya, sometimes little things can make a big difference. It doesn’t have to be a Asian dish, it just adds flavor. I really like using it, just thought I’d pass it on to ya. Thank You. I’m not to sure if i agree with what you said, “fat is where it’s at” when it comes to bacon fat, but I add coconut oil to my tea and vanilla whey protein milk shake, every morning. I think that it’s the type of fat that makes the difference. I bought so much coconut flour, and I haven’t made fried chicken in so long, I hope this will work, I need to find more ways of using up this flour. I like the way almond flour taste in pancakes better, and I don’t like that eggy taste you get when adding a lot of eggs to coconut flour recipes. Wow, you have a lot of comments here. The chicken looks great, I hope it taste as good. I’m gonna give this a go. Thanks! WOW! 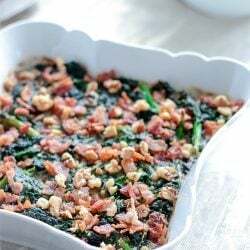 Just made this with almond flour, pork skins, and parmesan cheese for the breading along with the spices in this recipe and WOO HOO! BAKED the leg quarters at 400 for an hour and YUH-hummy! Thank you for a great recipe. Now I can satisfy my craving for fried chicken without the carbs. How about almond flour instead of coconut flour and then baking them? How much almond flour? For the life of me, I could not get the coating to stick to the chicken. I tried a egg wash, buttermilk, double battering, and using my hands to smash it into the chicken. For love or money I could not get the coating to stick to the chicken. I ended up scooping out fried bits of batter (which were delicious), but I was disappointed that I ended up with deep fried chicken sans crunchy coating. Other than that it was very tasty, and a big hit with the mister. Thank you for this low-carb gluten-free idea Melissa; I don’t know if I’ll like it as well as my old favorite recipe from some old magazine (soak chicken overnight in buttermilk, dip in flour to coat well, (if desired, dip again in buttermilk and flour for thicker crust), fry “until done” (at that time it was LARD we used, when it was on every grocery shelf). I NEED to eat fried (or oven fried) chicken! I want to develop a new favorite recipe for it and always make my own. Love KFC but can’t have it often ’cause of the flour. This tasted horrible! Way too much pepper. No directions on how to keep the coating on. This is a horrible recipe. Sorry you weren’t a fan Joanna, thanks for the feedback. Just made this tonight and husband and 6 year old son LOVED it! Thank you! This was awesome! My husband said it reminded him of Chic-Fil-A :). The breading is tasty and really doesn’t taste like coconut, just tastes yummy! Hi Mellissa! 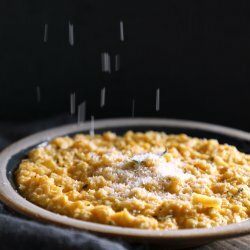 I just started following your blog and found this recipe. Can’t wait to try it. Love that you’re from my home state as well! I’m heading home for a visit to Charleston this month and have decided I’m just going to take a cheat week as there’s no way I’m not eating chicken and biscuits. 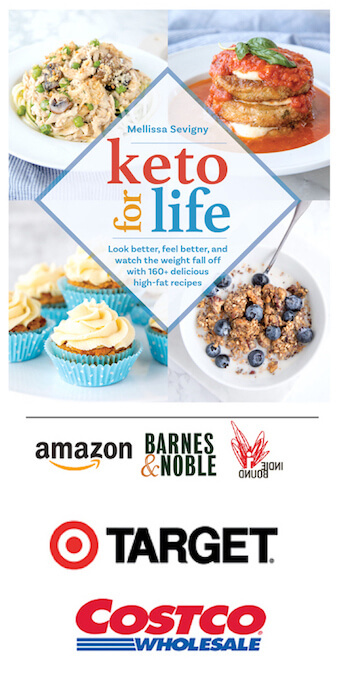 Looking forward to all the great low-carb recipes! LOL!!! At last! Somebody understands that! Did you peel the skin off the chicken before coating and frying it? Definitely Cara – go for it! We use the pork rind crumbs to coat everything. Sometimes add grated cheese to it. Fries up so nice. I think it taste the best. Breaded fish and breaded pork chops are wonderful. Cheese adds flavor and helps glue the coating together which is why I love using it in breading (though not this one), but I have yet to try pork rinds! Everybody raves about it though so I really need to give it a try soon! Thanks for sharing! This Southern Fried Chicken was AWESOME!! My only problem is I didn’t whip out the deep fryer, lol, so needless to say, my floor was slippery, haha. My son LOVED it too! Thanks!! Ok… got really serious about this fried chicken. I have been intending to replace my cast iron skillets that I lost in an out of state move several years ago. When I saw this chicken I knew it just had to be fried in cast iron. So, I researched and landed on a 13 1/4 in skillet. Big and heavy. I took several days seasoning it several times and finally today I FRIED CHICKEN…. It is amazing. My husband who turns his nose up to anything that might taste “diet” absolutely raved about it. He says this is a winner, winner chicken dinner!!! Thanks Melissa for the great recipe. So, getting ready to make this great looking chicken. Have been looking for “non hydrogenated lard”. What do you use to fry it in? If you’re careful with the temperature you can use coconut oil, also grapeseed oil or peanut oil works. I shallow fry mine and turn it halfway through – it uses less oil that way and less gets wasted! Enjoy! I am ashamed to say I used to let my kids eat Kentucky Fried Chicken. Now my son has type 1 diabetes, so all crap food is now banned. He will be so excited when I make this recipe for him! I cook your recipes all the time, and I know they are all healthy because my son has perfect blood glucose levels. 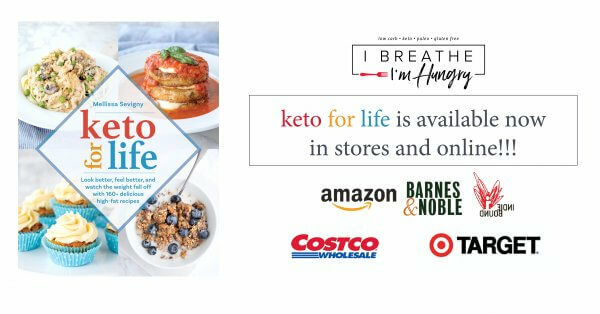 No doctor or diabetes educator or dietitian ever told him to eat a low carb diet, and I figured it out for myself. Finding all your yummy recipes has been a lifesaver. Family and friends think a low carb grain free diet must be so restrictive – until they see what I cook. I even did a low carb Christmas party, and none of the guests even knew the difference. One little girl guest saw my dessert table and said “Look at all the sugar!” So funny – there was very little sugar in my desserts! Keep giving us your recipes. They have made such a difference to my life. @Malainie OMG pork rinds sounds AWESOME as a coating, definitely going to do that up. I tried to fix the link Stephen and it just wouldn’t work no matter what I tried so I had to delete it. Thanks for letting me know – you might be able to find it on her site thenewlywednotebook. I did see the recipe and it uses brown rice pasta – sounds delicious though! Melissa, an alternative to coconut flour as a coating, is pork rinds, ground up and made into crumbs in your blender. I’ve heard of that Melainie but never tried it! I’m going to give it a go soon and see how it measures up to the coconut flour coating – thanks! By the way….TV is stupid. They should have focused on you. I looked at those other recipes and they appear to be low fat, high carb which has resulted in our obesity/diabetes epidemic. I’m type 2, runs in my family, and my blood glucose would skyrocket with those other recipes. Sure not healthy for me. I would never watch or pay attention to a TV physician…that’s show business, not patient care or good advice. Oz Shmoz…. And this is what I wish people would finally open their eyes and realize. It’s not fat making us fat. It’s a gigantic excess of useless carbs that don’t end up being converted to energy. Instead, your body says, “hmmmm. I think I’ll need that later, maybe I should store it”. And thus, it becomes FAT. 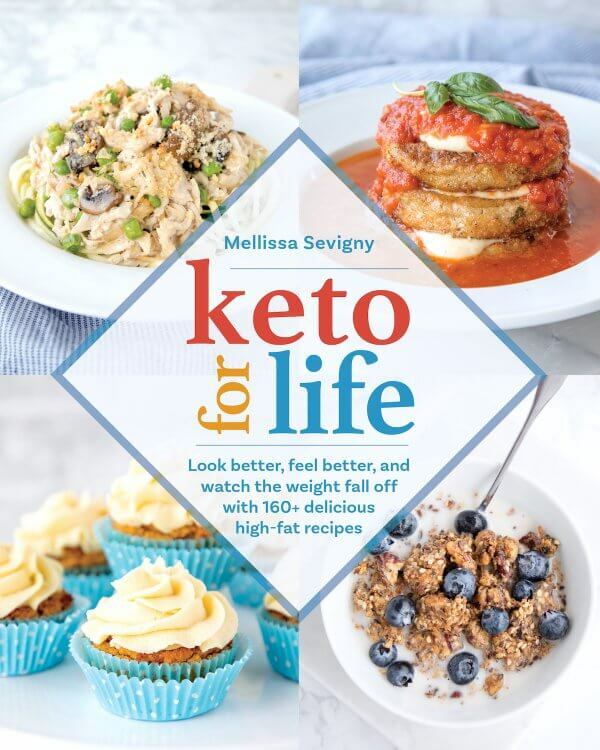 Melissa….I get confused by oil, smoking points, healthy, unhealthy…and COST. 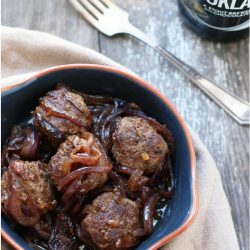 Can you tell me what oil you use for this recipe and do you use different oils for different recipes? I am using peanut oil exclusively since it’s affordable. Not sure about the taste but that’s due to my ignorance of the topic! Lots of low carbers insist on coconut oil but I can’t imagine a couple inches worth of that. It seems expensive, those little jars for $5 unless I’m looking at the wrong thing. This is all baffling. Thanks if you can help. I use extra virgin olive oil, coconut oil and more recently have discovered avocado oil, which is even healthier than olive oil. However a gallon of it, with shipping, will run you almost forty bucks, so not very cheap! Malainie…many thanks! This gets me started. And I agree wholeheartedly on journalism. I’m a 1972 j grad. Profession has collapsed for a number of reasons. Very serious implications for democracy. Years ago 1953, I worked for a restaurant in Iowa, locally famous for its fried chicken. I was one of the cooks for the chicken. I was a part time high school student. No steaks or fish, just chicken with a side of slaw and hot buns. The day before, we filled a large pressure cooker with 1/2 chickens in racks, throw in a handful of garlic cloves, and cooked it until it was just done, not falling off of the bone. They had the time/temperature all worked out for the large batches we cooked, so it was repeatable. When an order came in, we dipped half of a chicken into eggs, and milk with some pepper, rolled it in a cheap pancake flour, and then just deep fried it long enough to bring the outside to a beautiful golden brown, and served. It was hot all of the way thru, and the outside was very crispy and not greasy. And inside was cooked to perfection. 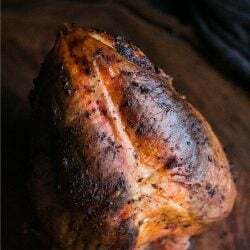 I would now use Mellissa’s coating recipe on the precooked chicken, and then fry it in whatever fashion would brown the outside to a nice Golden Brown Crispy chicken. I guarantee it will be good. I CAN’T WAIT TO TRY THIS!!!! Thanks for posting this Bill – nice to get some tips from a chicken frying professional!!!! The point was, that the method, was pretty much foolproof, if you could judge Golden Brown…. Fry it until the outside was Golden Brown, the center would be hot, and serve, that was it…. At some of the fairs, and local carnivals they had 2 city buses outfitted as a kitchen, and would serve up to 300 dinners a day, all cooked first in the pressure cooker at the restaurant kitchen. Always then cooled overnight, before they hauled the chicken to where they were set up, as well as in the restaurant itself. When I saw that your coating fell off (on your facebook post), I had to look through the comments to see if anyone suggested dipping the chicken into eggs and milk. I’m glad Bill added this. The old-timey way of making fried chicken I always heard was dip in flour, then egg/milk mixture, then back into the flour. Then you were supposed to let it set for a little while (5 minutes) before putting it on the hot oil. That should keep the good crunchy stuff on the chicken. I like the idea of pre-cooking the chicken too. Hi Nancy! I would typically dip anything fried into an egg/milk mixture first as well, but when I moved to the South I was surprised that a lot of locals don’t do that to their fried chicken – and the chicken comes out fantastic! But I think Carolyn was right on her comment on Facebook, that without gluten in the coconut flour to help bind it, something extra may be necessary to keep the coating on nice and thick during frying. I’m going to experiment with adding xanthan gum, and then also with the egg/milk mixture to see which combination gets the best results and then I’ll edit the recipe accordingly with those options! Please let us know if you experiment and what the results are too!! Enjoy! Sounds like some experimenting with that is in order too! I used to parboil my chicken wings before baking them and it definitely helped render out some of the fat so that the skin would get super crispy. I don’t see why that wouldn’t work for larger pieces of chicken as well! This “fried” chicken sounds deeelish! I am definitely going to make this soon! Will the chicken taste like coconut? Congrats on your moment of glory Mellissa!! Fun experience I am sure. And thanks for the recipe. I just had this idea and wonder if you’ve every tried it or what you think. Talking about bacon wrapped around chicken (LOVE this, have done with prosciutto and sage tucked underneath). What about making the bacon just crispy, then pulsing it in a food process or make “crumbs” and doing the coconut flour, then egg, then bacon and then the oven bake or deep fry in ??? Lard??? Can’t wait to hear your thoughts! And by the way, I am addicted to reading whatever I can that comes from you and love all the recipes! Yay! You too Lindsay – I would say connecting with you guys was the best part of the Dr. Oz Show experience! What are your thoughts on “oven frying” this chicken? I hate to use a big fry pan with hot oil if I can throw the thighs on a pan in the oven. Just coat them in a few Tablespoons of olive oil and roll them in the seasoned coconut flour – then bake at 400 (F) for about 40 minutes and you should be good to go! Thank you! I will try it and let you know how it goes! Would anyone care to estimate the time needed, if the chicken was precooked, and at room temperature. How long would it take in the oven to heat a pan of thigh,s (with bone, and skin), and crisp the chicken?? Using the cocoanut flour breading. Thank you! While I LOVE fried chicken I, too, hate frying in oil on the stove! The oven is easier for me! Thanks for this tip to make them in the oven. I also prefer to bake instead of frying. This is dinner for tonight! Same here. It didn’t work for me. Burnt, crumbling and soggy breading. Terrible. I fry chicken frequently with different products and have never had it turn out so awful. I love how you used coconut flour in this traditional southern fried chicken recipe to keep this low carb. Can’t wait to watch the Dr. Oz Show today to see all the healthy recipes for their Healthy Recipe Challenge. So great to connect with you through this experience! First I just want to say you’re too good for “Dr. Oz”. The guy is an embarrassment to the medical community. At least your sweet face and amazing talents were shown to the world so I guess that’s something. 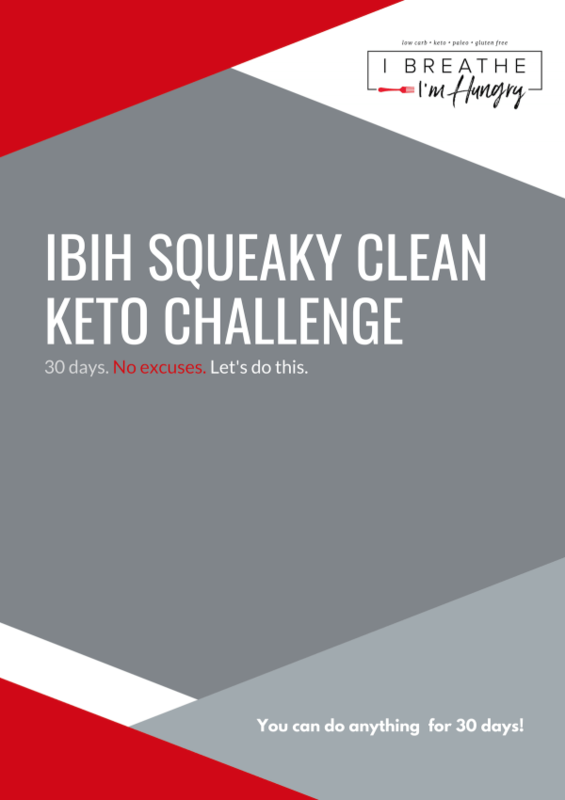 Seriously – you are amazing, and have helped me become healthy and happy. Onto the chicken! Wow, so delicious I could not believe it. I used a deep fryer and it came out so golden, crunchy and juicy. I always follow your recipes to the ‘T” (Maybe we should start saying to the “M” lol) and I’ve never found a reason to deviate. This chicken was really good cold too, with coleslaw and a big Iced tea. Thank you for all your hard work, you truly have a gift for cooking . We are so lucky to have you!